Excerpts from and links to all our info pages for Remington’s line of handguns. Rating: 5.6/10. From 139 votes. Rating: 5.6/10. From 60 votes. Rating: 5.5/10. From 53 votes. Rating: 5.4/10. From 61 votes. Rating: 5.7/10. From 31 votes. Rating: 6.0/10. From 21 votes. Rating: 5.8/10. From 28 votes. Rating: 6.1/10. From 64 votes. 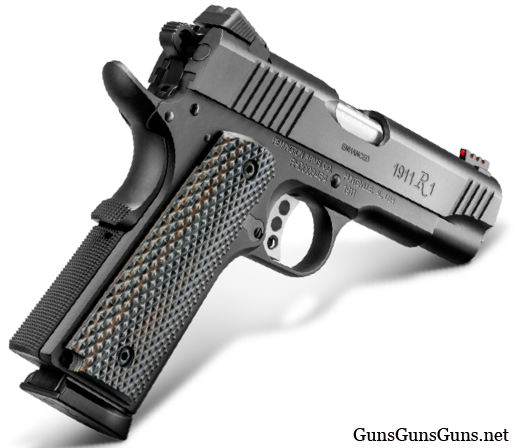 Summary: The description, specs, photo and MSRP for the Remington 1911 R1 Centennial pistol. Rating: 6.7/10. From 32 votes.